You only need step off the train in Shanghai to understand why this dizzying Chinese metropolis is dubbed the most vibrant, bustling and progressive city on the planet. Covering some 6,500 square kilometres and home to more than twenty million people; it’s futile to try and take in all of Shanghai’s innumerable attractions in a single visit. Instead, visitors will need to segment the city into bite-size portions if they’re to stand any chance of uncovering its most evocative cultural wonders. To help you make the most of your time spent in China’s undisputed second city, here are some essential tips for a 12 hour stopover in Shanghai during a Chinese cruise break. The Bund, or Waitan, is simply the name given to Shanghai’s riverbank waterfront — and what a waterfront it is. 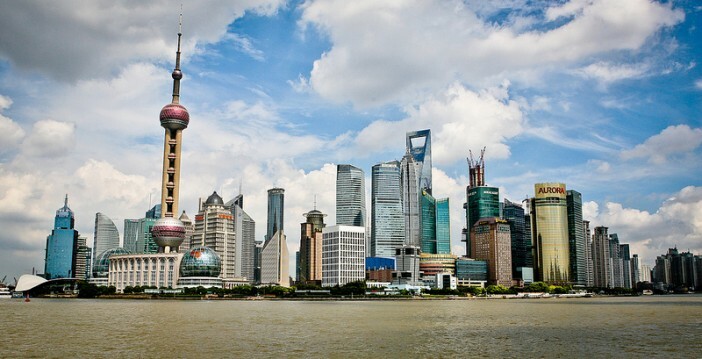 With the ludicrously modern skyscrapers of Pudong on the east bank and the colonial buildings of the Shanghai International Settlement on the west, The Bund offers an overwhelming panorama of the city stretching above and beyond. First conceived in 1559 under the instruction of the Ming Dynasty, Yu Garden is a vast traditional Chinese garden in the Old City of Shanghai. The park lies a mere stone’s throw from the City God Temple, and is laid out in the classic Suzhou style — with a wealth of traditional pavilions and halls scattered throughout the vegetation. With its gable-fronted buildings and tree-lined avenues, Shanghai’s Old French Concession is more akin to the City of Light than the Paris of the Orient. Between 1849 and 1943, this portion of the city was classed as a French settlement, and much of the district’s architecture harks back to this Franco-influenced era. No visit to Shanghai would be complete without taking a quick (and we mean quick) ride aboard the Shanghai Maglev Train; a magnetic levitation train that speeds passengers to various destinations around the city at speeds in excess of 270mph. Sure, it’s not as quick as Japan’s new bullet trains, but it is the world’s oldest and most reliable high-speed maglev train. While Shanghai is home to dozens of museums, the majority are a little limp-wristed and lacking in interesting artefacts. Shanghai Museum more than makes up for their shortcomings however, housing some 5,000 fascinating objects from the country’s long, and at times turbulent, past. Whether you’re picking up a souvenir for friends and family or treating yourself to a memento from your trip — the shops of Shanghai’s Dongtai Road are sure to contain something quirky you can splash your cash on. Despite originating in Taiwan, Din Tai Fung is easily the premier dumpling hotspot in Shanghai. The restaurant, which is located in the rather uninspiring setting of a shopping mall, specialises in xiaolongbao — a delicious savoury soup dumpling that’s become synonymous with authentic Chinese cuisine. For those who’d prefer to stick to their firm Italian favourites during a visit to Shanghai — Goodfellas is the place to go. This faithful Italian restaurant brings the true taste of The Boot to the streets of China’s second city, with a broad menu of delicious and carefully prepared dishes. Dubbed ‘street food heaven’ by one food and travel writer, Fangbang Xi Lu is home to more authentic street food vendors than any other street in Shanghai — possibly even China. As you can imagine, the choice is plentiful and the experience nothing short of mouth-watering. For those keen to strike Shanghai off their must-visit list, an Asian cruise break is a great way to see several points of interest across the continent in one fell swoop. To browse our latest Asian cruise deals, visit the Cruise1st Australia homepage or call us on 1300 306 318.